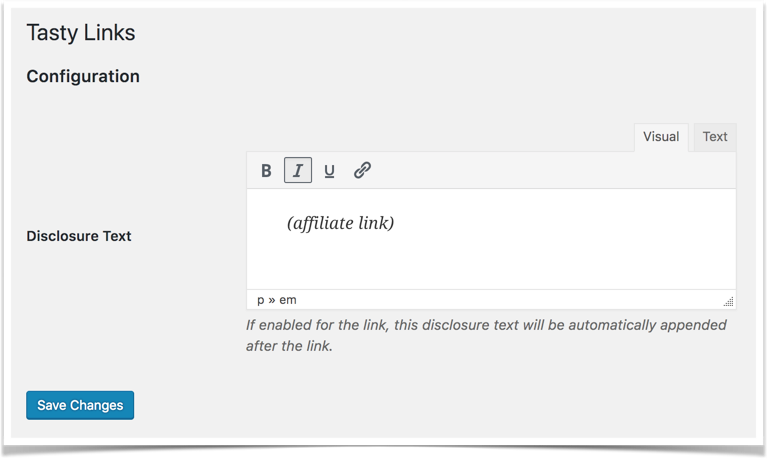 Tasty Links makes it easy to add a disclosure text after every link that you choose. The disclosure setting is set on a per-link basis - that is, it's turned on or off for each keyword. 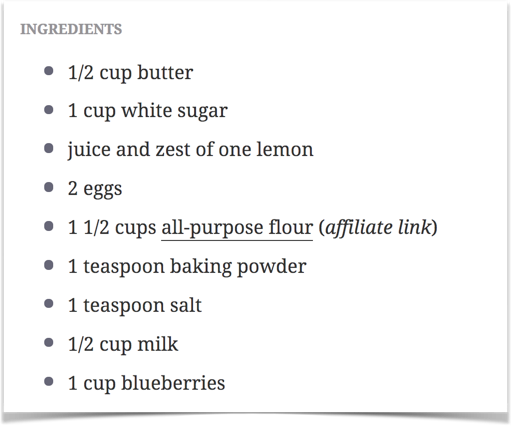 Save the changes and the new disclosure text will start appearing after every disclosure-enabled Tasty Link on your website.